In January 2010, I heard the words no one ever wants to hear from her doctor. I’d been diagnosed with a rare form of cervical cancer called adenocarcinoma. I had no symptoms, no previous abnormal test results and no family history of cancer. By all accounts, I was a healthy and extremely active 32-year-old….surfer, kiteboarder, cycling instructor, and scientist. Now… I am a young adult cancer survivor. My OB/GYN detected the abnormal cells on a regular check-up, which was then diagnosed further through biopsies. I was extremely lucky that I’d been diagnosed while the cancer was in its early stages. My team of oncologists at Johns Hopkins University was able to perform surgery to immediately remove the cancer. The treatment and follow-ups didn’t end there. My health is closely monitored due to the aggressive nature of this type of disease. I’ve had some reoccurrence of abnormal cells in the past couple years, but I’ve been able to keep a positive outlook on the course of treatment and what lies ahead for me. Two years ago, I decided that I wanted to get involved in an endurance event. 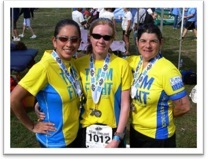 Through my local running store, Charm City Run, I learned about Team Fight, a training team that raises money for the Ulman Cancer Fund for Young Adults. I began training with the team, along with volunteering with the Cancer to 5k program, which is an amazing program that helps individuals with cancer train and run in a road race. I can’t begin to describe how wonderful the experience has been with the entire Ulman Cancer Fund organization. I feel so lucky to have connected with such amazing people and resources. Over the past two years, I have not only been able to run my first races ever, but bring continued awareness, such as running in the coveted New York City Marathon, participating in many more triathlons, coaching the Baltimore Cancer to 5k program and even running across America with Rev3 Triathlon benefiting UCF. Prior to joining Team Fight, I was not able to talk easily about my cancer. Meeting other people like me has given me the strength to fight this disease and speak out and share my story. In addition, it has given me the strength to swim, bike and run like I never have before. The support, coaching and friendships are truly amazing. 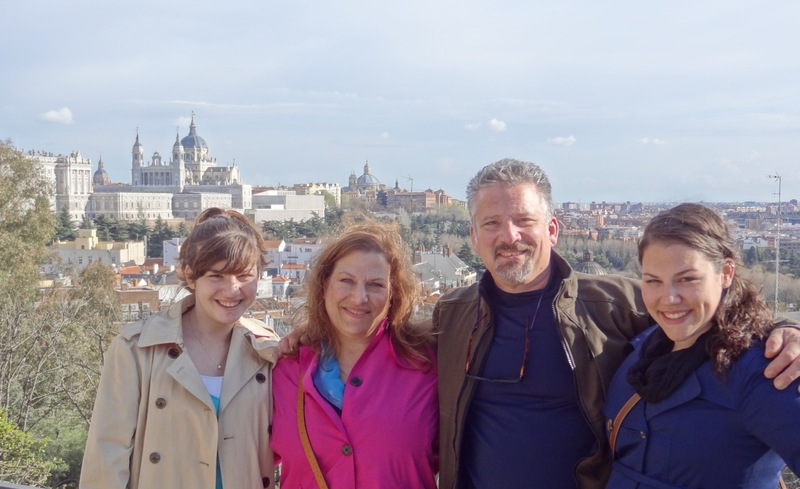 Being a part of the Ulman Cancer Fund has helped me to face adversity with a smile. It has given me the support I needed and allowed me to help spread awareness about young adults fighting cancer. It’s about living life half full… The way I have always lived my life, cancer or not. It is important for me to remember how she lived and not those last few days when she had gained fifteen pounds from tumor weight and could scarcely speak or know to whom she was speaking. A tireless advocate for young people who without fail selflessly placed the needs of others before her own, my mother rarely “talked the talk” but she always “walked the walk.” Whenever a need for a particular improvement or service emerged, rather than complain or look to another to fix the problem, she took action. For example, when my sisters and I were in elementary school, she noticed that the playground equipment had become outdated and badly needed replacing. Unsatisfied with the current principal’s timetable for procuring additional funding to tackle the job, she started her own capital campaign and within one year ground was broken on the new playground at Jeffers Hill Elementary. Later, as I began looking at colleges (I am the oldest of three), a similar scenario unfolded when she walked into the Oakland Mills High School guidance office. After deeming the paucity of information totally unacceptable, she made it her decade-long mission to transform the guidance office into an organized, student-focused center for information on college and scholarship options. The Ulman Cancer Fund, to which my mother donated time and energy during her life, was formed out of this same desire to serve the community by identifying a void (the lack of support for young adults facing a cancer diagnosis or the diagnosis of a loved one) and then taking action to provide the necessary service. After Doug’s recovery, I first learned of the Ulman Cancer Fund and its mission to serve young adults victimized by this horrible disease. I immediately knew that I needed to get involved. My first opportunity came as a teacher and coach at Mt. Hebron High School. I worked with Brock Yetso to raise money and awareness for the cause through a “Mile-A-Thon” that was held on the school’s track in the spring. Now, after completing law school and beginning my new career at Venable LLP, I am looking forward to a “second act.” I am excited to continue to serve young adults through my year of service on the Board of Young Adult Advisors and look forward to re-connecting with old friends as well as meeting new ones. In that vein, I invite everyone to come out this Wednesday night, October 10, to Max’s in Fells Point from 6 to 8 if you are interested in finding out more about the Board’s planned activities and joining the fight against cancer. In honor of my mother and on behalf of her loved ones (especially Ellie, Anna, Alex and Audrey — the grandchildren that she so looked forward to but never met), I am looking forward to “walking the walk” and hope that you will join in as well. Together, we can ensure that although individual battles may be lost, in the end the war will be won. I had always thought of the scar on my chest as my scarlet letter. The scar that was once site of such a bad port infection that doctors used me as their “worst case scenario” exhibit, but now it’s the scar that people most tend to think is a hickey. When my treatment ended in 2005 I didn’t want to look back. I did what I had to do to be a normal 13-year-old. I went through chemo, had blood transfusions, spinal taps, dealt with a bald head and chipmunk cheeks from steroids. When I was given the all-clear from my oncologist that was it, the cancer chapter was finished. It wasn’t until 2008, right before I was graduating high school that it hit me; I am a cancer survivor. I never went to a support group or met other patients or survivors. I never absorbed what was going on around me. I just looked straight ahead. In the midst of college applications I decided I was going to Montana to a cancer camp. This was completely out of my comfort zone, but I knew it was something I had to do. It was there that it clicked. I watched as a young adult with a prosthetic leg climb a rock wall faster than me, a survivor in a wheel chair laugh hysterically when his door-prize was a jump rope, and stood by as a patient had every strand of her long hair shaved off by a beautiful bald survivor. It was that week that I absorbed. It was that week that the scarlet letter on my chest started to transform into a badge of honor. It’s weird how things work out sometimes…. My second day at Ulman I met a 13-year-old girl going through treatment and learned the 4K stopped at the camp I attended in Montana. I listened to a fellow survivor speak and motivate a room full of people. I wasn’t diagnosed as a young adult, but I am a young adult and I am a cancer survivor. I’ve never been shy or uncomfortable to share my story; I just chose to avoid the sad faces and generic remarks. Although, at times, when a stranger would congratulate me on such a hickey, I loved throwing them off. But, here at Ulman I was reminded on my first day that everyone here gets it. Whether it’s someone in the office, a Team Fighter, a 4Ker, a volunteer…someone gets it. And when they don’t know right thing to say, there’s no generic lines because they get that sometimes saying nothing means more. So, during my Year of Service I will not only absorb, but I will share. I will share my story, learn from others, and continue to look ahead. But this time I’m remembering to look back. Susie showing that hill who’s boss! the questions and fears I had. Do I NEED to clip in? What if I can’t get to the kayak fast enough? What if I don’t make the cutoff? What if I’m not strong enough? What was I thinking to believe I could do this?!?!!? You don’t HAVE to be strong enough all by yourself. There is no ‘I” in Team FIGHT. You’re never alone when you are a member of Team Fight! Team Fight + YOU = STRONGER! could do it. I’d be fine. I’d always feel better after a tall, reassuring hug from him, but wondered, “How the heck does this guy know I’ll be okay!?? !” (Don’t you hate when people know stuff you don’t know?) I chose to believe him…because I couldn’t rely on my own opinion of myself. I think that’s all I needed. And for that, I’ll be eternally grateful to Brian and Team Fight. So the best advice I can give anyone with race morning jitters is to stay calm, close your eyes for a second, and tune in to how your legs, arms, and back have carried you this far. How they will perhaps, be pretty spent at the end of your race, but not broken. In fact, you’ll be stronger. 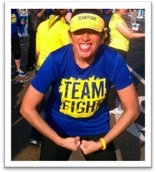 Think about how amazing you are to be dressed in yellow and blue representing Team Fight. You KNOW these colors look good on you. You are strong, calm, confident, yet humbled to be doing something truly amazing in the name of young people everywhere fighting cancer. Look for me if you want, I’ll be looking for you. And if you know me well enough, free hugs abound! Let me, through osmosis, take over your fears and insecurities. I once thought my broad shoulders were created to be a pro linebacker. Instead, during this amazingly blessed season in my life, they are meant to help you carry what you need to let go. Don’t forget, when you’re in the water, on your bike or running, you’ll hear me before you see me. Thank you for inspiring me every day to wake up and do the best job I can. You are all like me – you ROCK! As I sat at desk #2 on intern row, I began my usual morning routine with a sip of my freshly made iced coffee (that is a must!). Then I pull up my 4K Awareness Cup spreadsheet (working at UCF has made my love for spreadsheets blossom) along with the current pending blog posts on the 4K admin website…that’s right, I am an admin :). After I am done tallying the number of blog posts each rider has posted from the previous day, I begin to read them. All of them. It is essential that I read over all the blog posts before publishing them to the 4K website because some of the riders may forget to sensor their remarks, but finding things I need to delete or fix is very rare. Mostly, I catch myself submerged in the stories they are telling of the people they have met, the places they have seen, and the humorous moments that have taken place within their group. More than anything this trips challenges each rider on all aspects; physically, mentally, emotionally, and psychologically. One of the motifs of the ride and UCF is to change lives. The personal lives of these riders are changing as they overcome new challenges. This is truly a journey in every sense of the word. The riders partake in multiple service opportunities along the way, many of the riders write about the connections they make with people along the way. This is the kind of thing that keeps them going each day. “BALTIMORE!” all the riders yell back. “PORTLAND!” we scream while the hosts smile at our enthusiasm. “4K!” we declare while the hosts are now smiling awkwardly, not knowing what to do while 26 riders won’t stop yelling in unison. This is by far one of the most honest posts of the entire ride, it truly is a day in the life, I highly suggest reading the full post! Back to the point of my blog..
Aside from the ride leaders, who get some nagging e-mails from me, a lot of the riders probably have no idea who I am. They left on their journey before I even began working at UCF, but the crazy thing is I know them. I can pretty much match any name with what ride they are on and for a lot of the committed bloggers and tweeters I feel like I am on the ride with them. Along with all of the media tracking I also had a part in creating thank you videos for all of our wonderful 4K for Cancer donors. In the videos we had the riders say a personal thank-you to their donors. The video also served to continue to spread the message of the Ulman Cancer Fund and to remind our donors how they are changing lives! Everyday I have my hands in many different projects involving the 4K, helping wherever I can. Right now we are in the midst of interviewing applicants for the 2013 4K for Cancer. Before the process even started we created a template of the questions we would ask and the type of answers we were looking for and once again I am learning more and more about what the 4K is and what the riders experience. Of course I get lots this insight through Stephen, the program manager, who was on the ride in 2011. Last week we began these phone interviews and I find myself talking about the 4K as if I have done it a thousand times. I able to speak about not only logistical things like how everything works, if you get a free bike or not, or how long the ride is, but I also speak of what the riders do and how they are affected by the immensity of this journey. I speak of the communities they are connecting with and the people they meet. A common phrase in this office is “it’s the 4K way” and although in many settings it is a used as comic relief I find myself living and learning “the 4K way” every day that I come in the office. “The 4K way” is more than a group of young adults raising money and riding across the country. It is a group of young adults who are learning things about themselves and the people around them, they are constantly reminded about why they are riding through the various service projects they are involved in, and they are inspiring communities across the country to join them in changing lives. They are doing more each day than most young adults and they are incredibly consumed by their mission. The perseverance and strength they show is outstanding. The things I read about each day is unbelievable, the riders show me The 4K way and I am forever grateful to be sharing this journey with them via computer! This has also proved to be quite the recruiting tactic, because if I wasn’t sure I wanted to do the 4K before, I have now been convinced that in 2014 I will be applying for my spot on the 4K. Throughout my athletic “career”, I’ve had the opportunity to work with all types of coaches – some good, some not so good, and one that, looking back on it, truly changed my attitude towards teamwork, sports and life. Her name was Connie Walkwitz. She started out as my first grade gym teacher. And as early as first grade she not only taught the basic skills of fitness and health, but instilled in her pupils the importance of teamwork, the truth to the cliché phrase – “it’s not win or lose it’s how you play the game” – and the love of the sport. Each year in grade school, Connie was my teacher and coach. I was among the youngest seventh graders to earn a spot on her Varsity Field Hockey squad and the following year became her team captain. While I was easily coachable in skill, my attitude was a bit difficult to train. My desire for perfection on the field often led to frustration, dejection and usually several divits in the ground (which, as my penance, I always had to replace before I could depart the field). But Connie, always one to find the goodness in everyone (even a crazy, middle school perfectionist like myself) would call me into her office, sit me down, and remind me that attitude trumps everything, working together as a team is more beautiful than scoring that perfect goal, and for every setback or mistake there is an opportunity to learn. She saw me as a whole person, not just a player. And she never gave up on me. All of her students loved her energy and enthusiasm, in addition to her coaching tactics. She smiled. She cheered. She hugged us. She was readily armed with a teaching point or two when our game was not up to par. She let us make mistakes and problem solve to correct them. She fostered a true team environment. She was vibrantly energetic. She never lost her temper because her team lost (even if I did). She was the eternal optimist, she embodied the Half Full mentality. Her positive attitude never once subsided. And even when she was diagnosed with stage IV breast cancer, lost all her hair and became increasingly weak, she continued to support her team from the sidelines for one simple reason. When she passed away on October 31, 2000 after a valiant fight against breast cancer, the world suffered the painstaking loss of a wife, mother, teacher, and friend. But for me, the biggest loss was that future students would never have the opportunity learn from her as I did. I never had another coach like Connie. 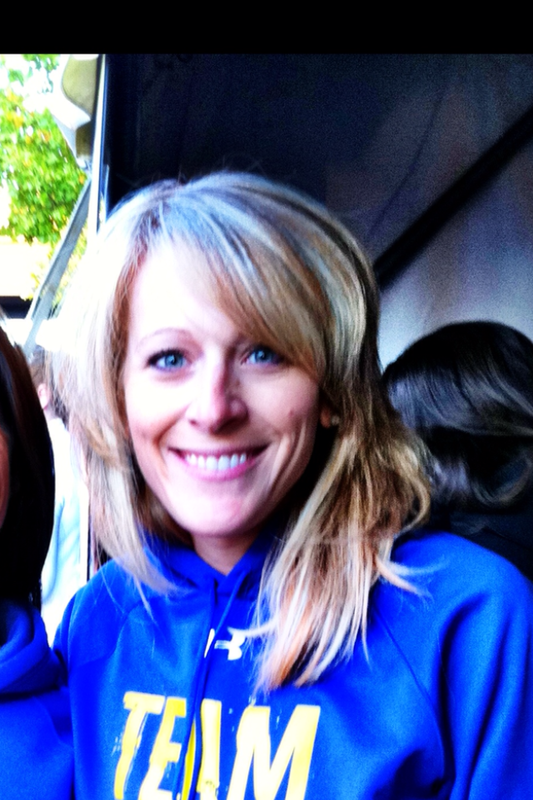 And until recently, I had very little faith that a coach like her even existed anymore. But when I met the Team Fight coaches, I saw that each of them had a little bit of Connie in them. They take time out of their busy professional, familial and athletic lives to coach Team Fighters through walks, runs, bikes and swims. But beyond the physical side – they coach attitude and confidence – two critical components of a successful athlete. Like Connie, they cheer, they smile, they encourage, they teach. They show up at each practice, event and race for the same reason she did. They love to coach. I have no doubt that every Team Fighter has at least a handful of stories about how the Team Fight coaches inspired them, supported them and changed them as an athlete – whether it was running/walking at Janelle and Jessica’s No Drop walk/runs (on National Pina Colada Day), receiving poolside encouragement and expertise from Coach Mike, Jelly and Adam or from the workouts Matt and Shana put together and post each week to help Team Fighters improve their swim. I consider myself very lucky to have had the opportunity to meet and work with all of these extraordinary coaches…and even learn a thing or two from them. To the Janelle’s, Jessica’s, Mike’s, Jelly’s, Adams, Shana’s, and Matts of the world – my faith in coaching has been restored. That’s how long ago it’s been since I had surgery to remove the cancer growing in my body. Today, I celebrate the anniversary of my surgery, thankfully leaving me in remission for the past three years. All that time, and I can’t escape it: I was a cancer patient. There’s been a lot of pain since I was diagnosed, there’s a lot I’ve had to cope with and there’s been a lot of time mulling over what my diagnosis means to me. But there’s also a lot I’ve learned. I’ve learned why I survived. This week, I’m working with the UCF staff to hang a wall of small 8 x 8 canvases across our office wall. Each canvas is “in memory of,” “in honor of,” or “I’m a survivor.” Each of us had the opportunity to buy a canvas and decorate it with something meaningful to us. Many people wrote the names of loved one’s that have battled the big “c.” Others wrote out their prayers to heal those currently in their fight. If you would like to join our wall, please contact me at brina@ulmanfund.org for more information. Purchase your UCF canvas today, by contacting Brina at brina@ulmanfund.org! 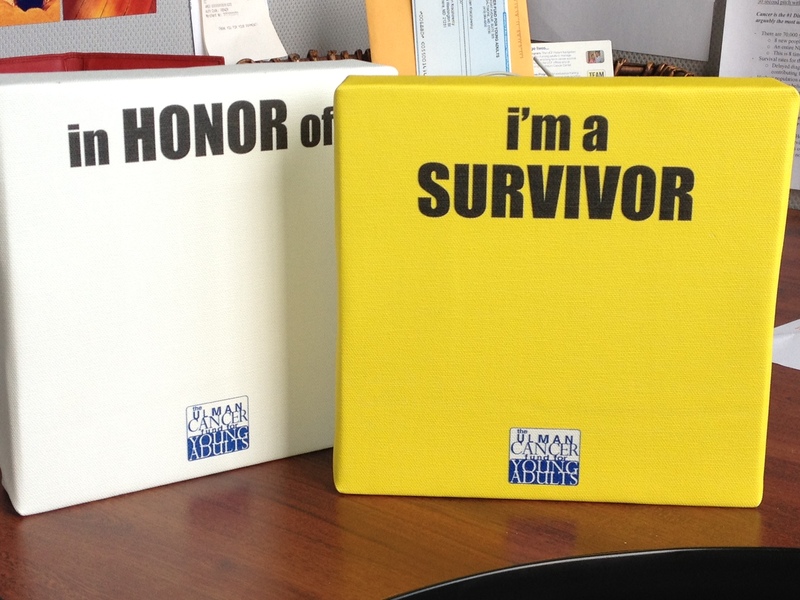 For my canvas, I decided to tell me people why I became a survivor. I survived to go skydiving. 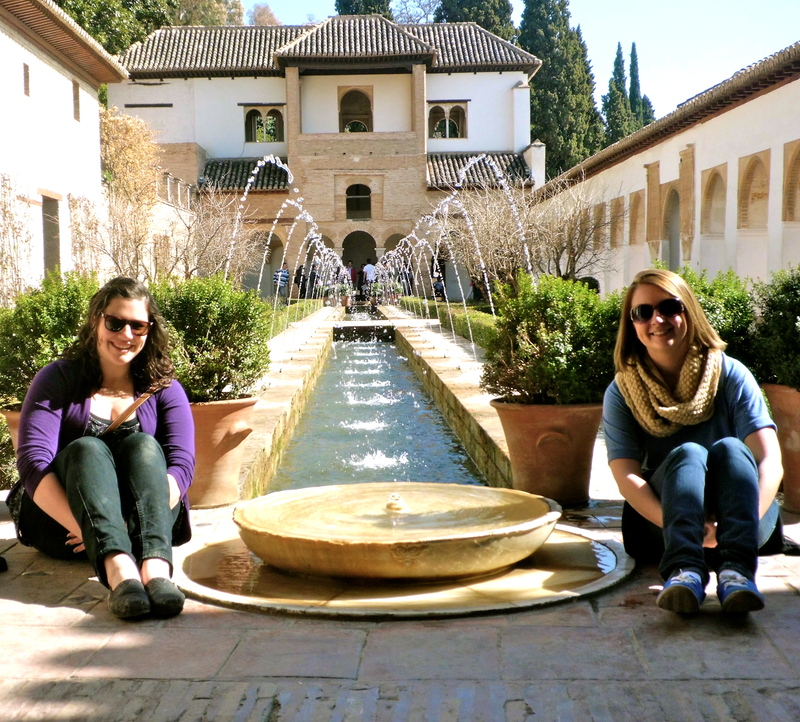 I survived to study abroad. I survived to run a 5K. I survived to gamble in Las Vegas. I survived to go to a frat party. I survived to see the Raven’s win the Superbowl. I survived to visit all 7 continents. I survived to fly first class. I survived to ride a mechanical bull. I survived to try surfing. I survived to flirt with a stranger. I survived to ride in a hot air balloon. I survived to go scuba diving. I survived to have my first legal drink. I survived to learn to play an instrument. I survived to go salsa dancing. I survived to visit a volcano. I survived to experience an earthquake. I survived to learn sign language. I survived to go on a blind date. I survived to ride a skateboard. I survived to shop with a personal shopper. I survived to visit a drive-in movie theater. I survived to do a service project in Africa. I survived to drive cross-country. I survived to take a glass blowing class. I survived to shoot clay. I survived to finish my classic novel list. I survived to eat crabs. I survived to kayak with my dad. I survived to cook with my mom. I survived to see my sister get married. I survived to graduate college. I survived to buy a house. I survived to have a job. I survived to fall in love. PS- My remission anniversary ironically falls on my parents’ wedding anniversary. Thank you both for supporting me throughout my life, especially today three years ago. Congratulations Mom & Dad on 30 years! I love you! People usually associate a curse word with the term “intern.” An intern is the office b*tch. I’ve been the intern at UCF for the past month. And I’ve noticed something about this place: not once have I ever felt like the office b*tch. I feel like part of the team. I AM part of the team. I have a desk, my own extension line and my own personal business card. My first day consisted of being in a staff meeting and listening to all the projects swarming around the room. I was thrown in, and I actually love it. Natalie, Christina and I have done our fair share of office clean up, inventory counting, and tedious envelope stuffing as interns. But when I think back on all those activities, we were never sitting there working these tasks alone. Three weeks ago, we were asked to help unload the TEAM FIGHT van. And as the sky opened and the rain came, Brock stood there right next to us moving boxes, flyers and tents out of the car and up into the storage room. When Krissy asked us to create an inventory list, she was right there folding shirts and counting with us. Brian treats us to lunch, sitting with us and asking our opinion on his latest Half Full epiphany. There isn’t a day where I feel like my bosses are my bosses and I am the little minion. My voice is heard, my opinion is valued, and my thoughts become real projects. Krissy works with UCF Intern, Christina on an inventory project. I value how personal this office is. In May, when I nervously sat in the fishbowl of a conference room being interviewed by Brock, he asked me if I could travel anywhere, where would it be? He wanted to know me. He wanted to know my personality. In the past few weeks, I’ve watched a few others come through that conference room for interviews. And I’ve watched how every single person in the office has the opportunity to meet the potential newcomer. UCF ensures that he/she will fit with the staff, will mesh with the personalities and be able to morph with the casual flow of the office. Too often are offices stuffy, boring and dull. Everyone walks around in bland colored suits and sits at their cubicle typing away in silence. Not here. Here you’ll find your casual color dress code with people throwing thoughts out into the open all day long. You’ll find a conference room with whiteboards covered in ideas, numbers and concepts. You’ll find your boss sitting next to you asking for your true, honest and blunt opinion. I love working in this office. I love how I am part of the team. I love how each person is valued. And I never want this place to lose that drive. Our 2012 rides combined have traversed 22 states, traveled well over 6,000 miles, and have spent the last 35 days immersed in an experience that is unlike any other. They have climbed over mountains, crossed the Great Plains, and passed through countless corn, wheat, and soy fields. Over the course of their travels, 4K riders have had the fortune of interacting with 1000’s of different people from all different walks of life. Riders interact with members of the host communities that provide us with shelter, employees at restaurants from whom we ask for food donations, people from strawberry farms on the side of the road, and anyone who will talk to them. Being exposed and living with so many people from so many backgrounds truly allows all 4K riders to learn of the true value of men and women. Please take some time to read (and comment on) some of these amazing posts. All three 2012 rides are more than halfway complete with their cross-country voyage. As they travel west they will climb over the Rockies and continue to see amazing sights and meet amazing people. The more they travel, the more clear the true value of man will become. In the previous 10 years, and up until this point of the 2012 rides, it is almost always the case that the value of the most importance is kindness. The 4K riders are inspired to keep cycling because they are united by the kindness of those they meet.